MKEK acquired german machineries to manufacture weapons as many middle-eastern industries did (as DIO of Iran and POF of Pakistan). 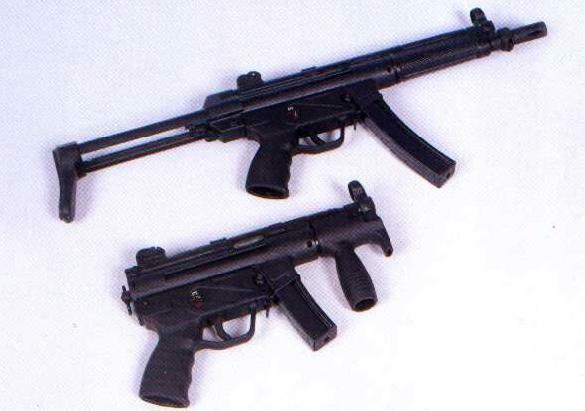 The SMP5 and SMP5-K are turkish copies respectively of the german HECKLER&KOCH MP5A3 and HECKLER&KOCH MP5K submachineguns. Both of those fire the .9x19mm-Parabellum round, feeding from either 15-rounds or 30-rounds magazines. Both of them feature a S-E-F trigger group. The SMP5 features a collapsing metal buttstock, the SMP5-K features no buttstock (it has a sling attachement ring, instead), and a foregrip.